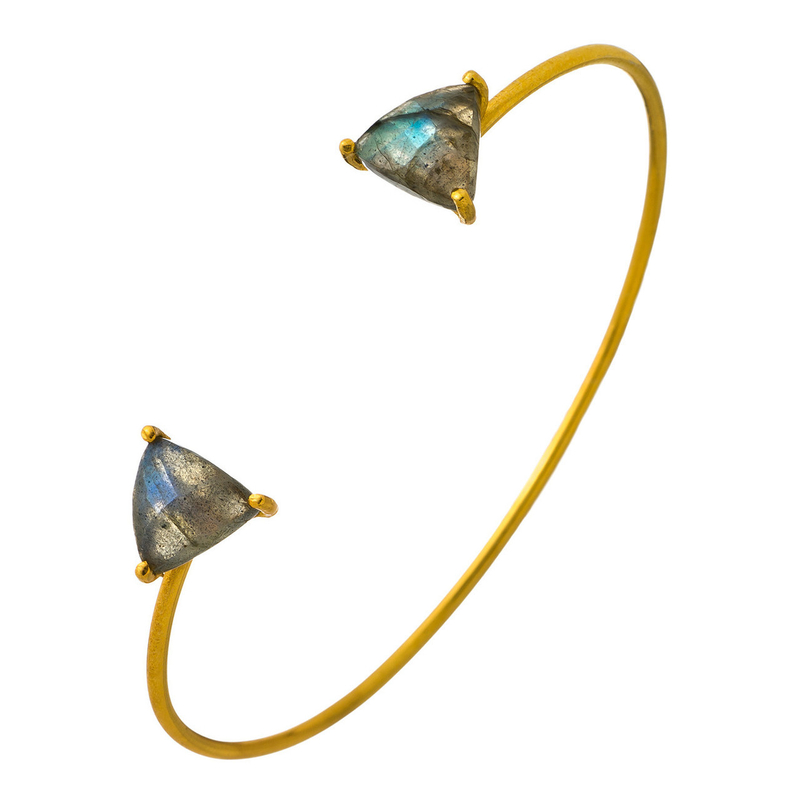 See more Heather Hawkins Bracelets. We check over 450 stores daily and we last saw this product for $150 at Couture Candy. 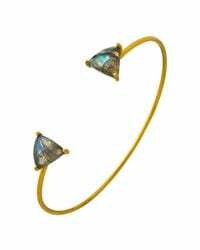 18k Yellow Gold Vermeil Cuff Bracelet With Prong Set Triangle Shaped 9mm Gemstones, Available In Black Spinel, Blue Chalcedony, Green Onyx, Labradorite, Prehnite, Rainbow Moonstone, And Pyrite. This Fits Right Over Your Wrist. We Do Not Recommend Bending And Pulling The Wire A Lot As Over Time It Can Snap. Fit It To Your Wrist One Time, Then Turn And Slide On And Off. It Should Fit Every Time If You Fit It Well Once. Made In Usa.